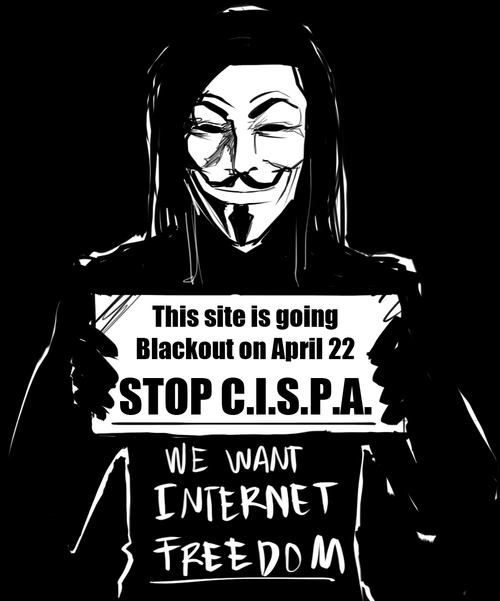 The Senate is going to vote today on CISPA, legislation that is remarkably similar to SOPA. SOPA was heavily protested on the Internet, but I’ve barely heard a peep about this thing. It has already passed through the House. If you haven’t already done so, call the switchboard at Capitol Hill or shoot an angry email to your senators. (You know you weren’t doing anything at work anyway, right?) Keep the Internet free!